Our expertise in marketing homes makes us the #1 choice of all home sellers in the Petaluma area. Our goal with the Neighborhood Directory is to help you be able to better aquaint yourself with Petaluma's diverse communities. Selling real estate in the greater Sonoma County area for more than 20 years, and selling Petaluma real estate for near 30 years, living in Petaluma for that time has contributed to a body of knowledge that is available to your benefit. 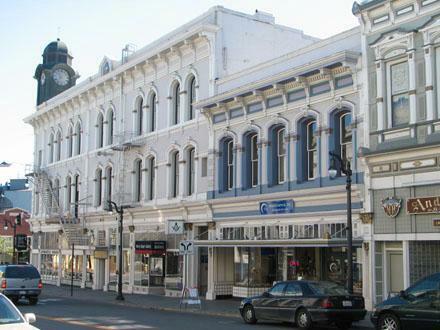 Petaluma is one of California's oldest cities with one of the best-preserved Historic Downtown areas on the National Register of Historic Places. The Petaluma River has seen a succession of populations, beginning with the Petaluma Native Americans, Spanish explorers, and Mexican Vaqueros and was once the third most commercially trafficked waterway in California. Chartered in 1858, the town's exciting past can be seen as a microcosm of the history of California as a whole. "I have made a visit to Paradise - the fairest land in the entire world. Nothing in all California was comparable; everything was readymade for civilization - soil, climate, abundant water, a great harbor, opportunity for commerce with the world, and for landscape, for variety, a land of pure enchantment." Little is known about the first inhabitants of this valley except that they probably arrived between 6,000 and 10,000 years ago, and that they were hunters and gatherers. The Petalumas, a tribe of the gentle Coast Miwok people, settled their village east of Petaluma Creek about three and a half miles northeast of the present town. In 1776, a Spanish explorer named Fernando Quiros sailed up the Petaluma Creek to see if it led to Bodega Bay. General Mariano Guadaloupe Vallejo's Casa Grande construction was started in 1836. The rancho served as General Vallejo’s working ranch, producing hides, tallow, soap, shoes and more to support his huge 66,000-acre Mexican land grant. General Vallejo’s property stretched from Petaluma, through Sonoma to Benicia. The Petaluma River, which meanders 14 miles through tule and salt marshes from San Pablo Bay, is actually a tidewater estuary. Petaluma Creek was designated a river in 1959 by Act of Congress. The river played a major role in making Petaluma the largest and wealthiest city in all of Sonoma, Marin and Mendocino counties throughout the nineteenth century. People, produce and products were transported between the northern counties and San Francisco. Petaluma was chartered in 1858, becoming a thriving shipping and manufacturing center. The Petaluma River ranked third busiest in the state. Steamboats carried much of the tonnage, and scow schooners glided over shallow waters because of their flat-bottomed, square-rigged design. Commercial use of the river continues today shipping various cargo such as crushed oyster shells and concrete products. In 1999, American Safari Cruises began service using the Port of Petaluma to bring passengers from San Francisco to Sonoma County Wine Country. The Petaluma River harbor is located in Historic Downtown Petaluma within easy walking distance to restaurants, walking tours, shopping, city parks and night life. The Petaluma River turning basin also serves as the focal point of numerous Petaluma events, and its location in Historic Downtown has made it "One of the Bay Area's Top Ten Leisure Boating Destinations. We'll follow through in every aspect of the process of buying your home. We're ready to answer any questions and make the process as understandable and easy as possible.